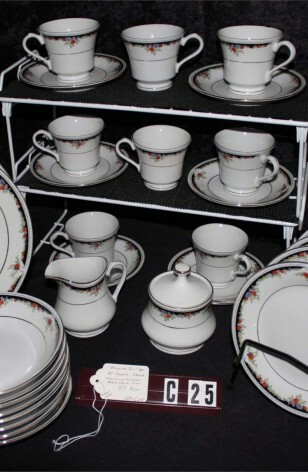 Elegant China known as the "Bennington" Pattern by Lynn's China. Made in China from 1997 to 1999 only.. Includes (41) Pieces. 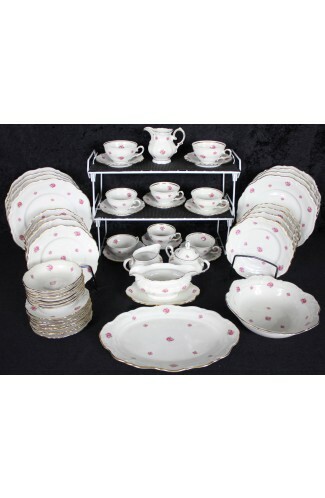 This Fine Dinnerware Set consists of Bright White Pieces with Multi-colored Floral Band, backed by a Band of Black. This Black Band is then topped by a Band of Back Dots. There is a beautiful 22kt Gold Verge as well as the 22kt Gold Rim, Foot, and Handles on the Cups. 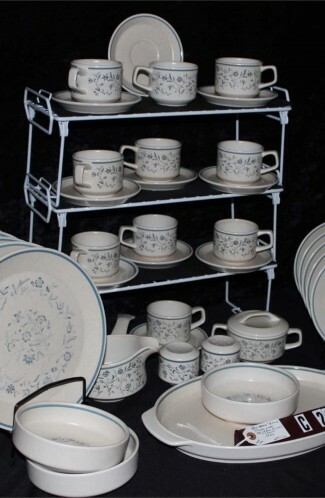 The set is Oven Proof, Dishwasher Safe and a great addition to any set..
"Bennington" Pattern by Lynn's China. 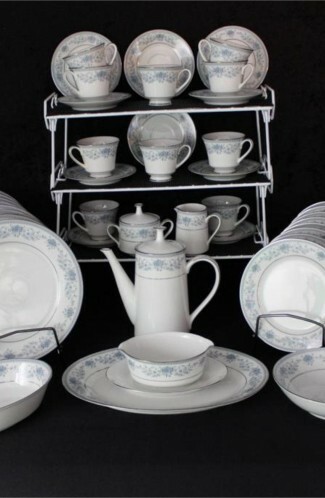 Made in China from 1997 to 1999 only.. Includes (41) Pieces. 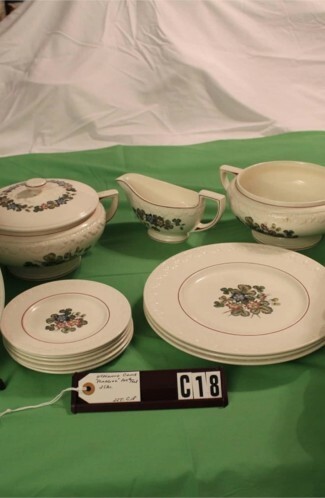 6 - Saucers - 6"
8 - Salad Plates - 7 1/2"
8 - Dinner Plates - 10 5/8"